For the Excellent Intel Gaming Build build we selected the Intel Core i5-8600K as our processor. To better cool the i5-8600K we selected the CRYORIG - H5 Universal. The i5-8600K is an unlocked processor so we set the parametric filters for Z370 ATX motherboards that support up to 64GB of DDR4 memory, six SATA 6Gb/s devices, multiple expansion cards, and crossfire or SLI functionality. On a budget of roughly 1250 dollars we decided to go with an excellent graphic card. The Nvidia GeForce GTX 1080 is one of the single best cards on the market right now. At 1080p or even 1440p you will not have any problems with AAA games and the 1080 is perfectly suited for VR gaming as well. When using a 1080 you should consider stepping up your monitor to a 120/144hz screen for the best gaming experience. All of our components are housed in the Phanteks Enthoo Pro M Tempered Glass case. This case has a nice black finish, a large tempered glass side panel window, power supply shroud, room for enthusiast CPU coolers, watercooling radiators, two pre-installed case fans, and front panel USB3.0. 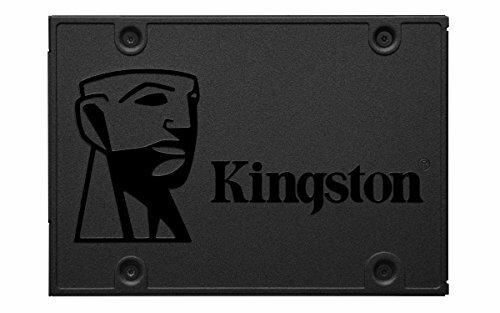 Does this run 60fps+ and 1080p consistently and for most games? I would like it if you let me know. Thanks. yes. but it would be cheaper to get a 1060. a 1070 TI is full on overkill. If I built this should I play on a 1440p monitor or 1080? As long as it's not a K series processor (i.e. i7 8700k). The 8th gen Intel K series processors can be overclocked and need a B360 motherboard. All other 8th gen processors use Z370 boards. This is simply not true. You can overclock an 8th Gen 8700K on a Z370 board. I personally do it. A simple google search will give you 1000 examples of people showing you how to do it. I run an ASUS Prime Z370-A with an 8700K overclocked to 4.5 Ghz. This is purely what Intel recommends, for novice builders, buying a B360 board may just be easier/better. I think this might be a good list. 2 question though. 1) Can I pick another processor of the i7's list? Or is it recommended to get a new list that is better suited for i7's? 2) Are there any other cables or other needed to be bought that aren't in this list? Though 1 thing I probably should mention, I live in Belgium Europe, and this list is €1364,55. Answers: 1) Any i7 that works on your motherboard is perfect for this list, but if you did upgrade to i7 I advise you upgrade other components as well. 2) Windows 10, thermal paste, case fans, and cable management supplies are helpful. 3) That price is way too high, try to pinpoint the specific expensive part and swap it. 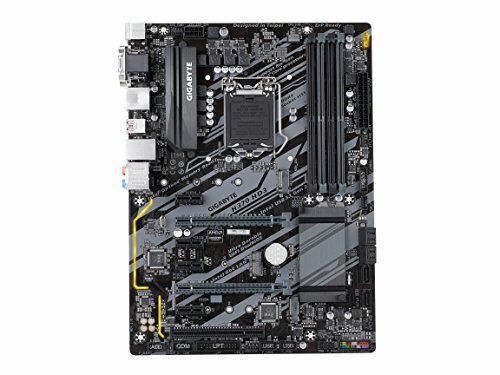 What other components would be worth/you suggest upgrading if I were to buy an i7 8700 processor? Well, a bigger CPU needs more stuff, so maybe a bigger PSU, a better cooler, a 1080/1080 Ti GPU, and a nicer case. More RGB is always good, and an extra stick of RAM couldn’t hurt. If you really need the i7 performance you’ll probably need more storage as well for video files. Should I purchase extra case fans to keep the PC cool, or is it unnecessary? can you use this to stream? @PrivatePengu, so are you saing that if I want to buy this build, I should upgrade to an 8600 of a 8400 and it will work a lot better? The 8400 would be a downgrade, the 8600 would only give marginally better performance. If you have the money, sure, get an 8600, but the 8500 will probably perform just as well. I'd recommend just sticking with the 8500 for now. The 8600 is not a lot better - it's better, but not by that much. It's only worth it if you have the money to buy it. If you don't, it's not worth shelling out the additional for the 8600. You need to click the reply button on his post. There is no tagging at this time. Probably, but you might be limited to a 30fps 1080p stream. Does the cooler listed in this build have pre-applied thermal paste? It comes with a small tube of paste. I noticed that the motherboard you chose has a maximum memory freq. of 2666 MHz, and you chose DDR4-3000 which obviously has a max freq. of 3000 MHz. Compatibility issue? The RAM would only operate up to the max mobo freq., which seems like a waste? Just cross-checking some motherboards on a new build I wish to start on soon and stumbled across this. Confused me a little bit though on the memory and motherboard compatibility. The 3000 is less expensive and will be able to run at 2666. I'm building pc for the first time. Can someone tell me if I this is the complete list of components I'll need? What about Wireless connectivity, usb/ethernet ports? And does these parts come with screws to attach to the case? Yes, it is complete minus the operating system and peripherals. All necessary hardware is provided with the individual components (cases come with mounting screws/extras, power supplies with screws, etc. Wireless would require the purchase of a wireless adapter and ethernet ports are available on the i/o panel of the motherboard. In addition to that, if you are going through with a build for the first time, I would highly recommend watching some videos of other people building a computer as it will walk you through the process. Yes, unless you own it, or it's listed in the build. you must buy Windows. This rig should cool fine, so liquid cooling isn't needed, but if you don't need the SSD storage it'd be fine. Swapping an SSD for Optane memory is a mistake. If you did upgrade the CPU, you'd need that liquid cooling. Also, RGB is always a good upgrade. Would this be overkill for a 1060 6GB? I replaced my dead GPU with that last year, but all my other components are nearing 5 years old and need replacing. I'm looking to build a decent gaming system that will last the lifespan of the 1060, and I'm not sure if this or the budget build (or something in between) would be best suited for it. This is a budget build and would be a good choice for a 1060 6GB GPU. This PC is a black one, very black. I would spice it up with some RGB fans and such. Really anything matches with it. My budget is a bit lower than this. I have 2 questions. Will a gtx 1060 fit in this build. And also I have a 144 hz monitor. Do I need a gpu that can output 144+ FPS in order to run 144 hz? A GTX 1060 will do just fine in this build. The 144hz monitor will run at anything below 144hz, the monitor refreshes at 144hz, so the highest actual (not displayed) frame rate you can achieve is 144 FPS. Thanks for the great build guide. Looks like these get updated every two months. Any ETA for the next iteration? Either this week or next. We are starting to see B450 boards show up for AMD so we may wait those out a little bit to feel out their place in the guides. Hi again—eta on the revision? Thanks! Hi Manirelli, this was a few weeks ago. Just wondering where you are at with the updated build guides for noobs like me? Thanks! Waiting out B450 releases atm. Does this run 144fps at 1080p consistently? It will depend on the game and your settings but for most it shouldn't be an issue. This CPU doesn't run too hot, so air cooling is just fine. Adding RGB case fans would be amazing because they'd boost cooling and add flare. Thank you for the build. I was wondering if there is going to be a update to this soon. Thanks! Yep, new updates coming soon. Knew to building a PC,so a few questions before I pick these up. Is there any other is there anything else that is needed to make this work? Also is this good for streaming? Sorry for making this so long but can this run gta as well? You will need Windows 10 (or preferred OS), maybe some case fans to add as well. I think you need thermal paste to attach the fan, I'm not positive but I'd buy it anyways. This PC can stream, but not at high frame rates and not at 1440p (stick to 1080p). This PC will run GTA 5 at 60+FPS at max settings easily. I think this might be the build for me. This will be my first PC (for flight sim) and I was originally going to get something that I could overclock, but realized I probably don't need it and I also don't know how. Saving money on the K processor and MOBO is nice. Will this processor bottleneck the 1070ti? Could I save even more and go with a 1060 and get the same performance? I don't believe this CPU would bottleneck the 1070ti, you could go with a 1060, but make sure to look at benchmarks to make sure it is the right fit. Question 1, how much noise does the fans make. Since I intend to stream with this. 2) how will the performance be while streaming Fortnite on high settings? The one air cooling CPU cooler shouldn’t be too loud, but if you add more fans it’ll get louder. 2. Streaming 1080p max settings Fortnite should yield 60fps at least. The G.Skill - Aegis 16GB (2 x 8GB) DDR4-2800 Memory is incompatible with the motherboard. I tried installing them last night only to find out that one end of the RAM would fit into place. Upon running into this issue I consulted this list to make sure I didn't mess up or ordered the wrong type of RAM. When i checked the Memory section of this list last night there was another RAM listed than what is currently listed, ADATA AX4U266638G16-DRG XPG GAMMIX D10 16GB (2 x 8GB) Memory Kit, so i started the return process for the G.Skill - Aegis 16GB and ordered the ADATA RAM that was listed. Why was the ADATA listed last night and now the G.Skill is listed again? Am I a moron and the G.Skill is compatible or is the ADATA DDR4 2666 what i need? You generally need to open a clip on at least one side of the motherboard DIMM slot. The memory will only fit in one orientation and you can check the notch on the RAM with the peg in the slot. There should have been no issues with that kit and your motherboard. Hi, Thanks for the feedback. I've checked multiple times that the RAM is in the correct orientation to fit in the slot and I can confirm that each dimm slot has only one clip to open. The only end that will securely fit into place is the end with the clip. The other end does not appear to fully be down in the slot once the clip is closed. Please make a post on our troubleshooting forum and ideally include some pictures as well. What would be the bottleneck on this system CPU? You can't overclock an 8400... The 8600K is the only overclockable Coffee Lake i5 right now, but it's $45 more. I think he means Turbo Boost. But what is the point of his comment then? The 8500 is still faster, and there's money for it. No reason to downgrade. His comment only makes sense if he means overclocking the 8400 to the same level as the 8500.